Vimeo has bought streaming video platform VHX, in a move that will let users offer subscription video on demand channels. VHX allows people to launch their own cross-platform SVOD services, and with the deal Vimeo said that it will now offer a “complete streaming ecosystem” for individual creators, niche programmers and major media partners to deliver subscription video channels. “Online video is expanding from a few, mainstream subscription services into a flourishing world of interest-based streaming channels, much like the evolution from broadcast to cable television,” said Vimeo CEO, Kerry Trainor. 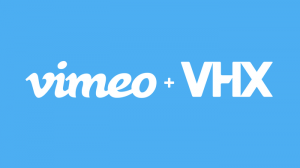 VHX said that in the long-term, the Vimeo deal will allow it to improve its service quicker with better streaming infrastructure, better apps, more marketing and business development, and access to a large global audience. In the short-term it said that it would be “business as usual” for its existing customers, which include companies like Comedy Central, Vice, Drafthouse Films and rock band the Foo Fighters. The deal was agreed for undisclosed terms.